Health care providers in the UCLA Health System will soon be able to send an “eReferral” for tobacco cessation through CareConnect, the patients’ electronic health record, to the California Smokers’ Helpline. The helpline, based at UC San Diego, offers free telephone counseling and follow-up support that doubles the chances of long-term quitting. Referred patients cared for in the UCLA Health System as inpatients or outpatients will then receive a call from a helpline counselor within one to two business days. The ordering provider will, in turn, receive a CareConnect results message from the helpline about the interaction with the patient. The eReferral is just one more tool for health professionals to support a patient’s desire to join the unhooked generation. The helpline’s 1-800-NO-BUTTS number has been around for over 20 years, but eReferral ensures that the helpline will connect with a referred patient and that the ordering provider will be kept informed. Tobacco use remains the single largest preventable cause of disease and premature death in the U.S. Yet about 42 million Americans still smoke cigarettes — a bit under one in every five adults — and too few get the help they need to quit. In California, more than 3 million people still smoke cigarettes. The UC Quits champions at the UCLA campus are Drs. Timothy Fong, Alison Diamont and Estebes Hernandez and nurses Cait Walsh, Elizabeth Bailey and Sarna. 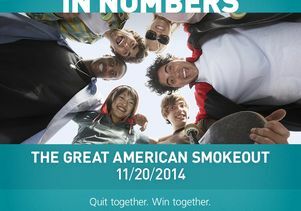 On Nov. 20, UCLA’s Tobacco-Free Task Force will host a table in Bruin Plaza from 10 a.m. to 2 p,m. Bruins can learn more about resources to help them, their friends or family members quit. Learn more about UC Quits at www.ucquits.com, the California Smokers’ Helpline at www.nobutts.org, and UCLA’s Smoke and Tobacco-Free Policy at healthy.ucla.edu/pod/breathe_well.